For this Back To School Wardrobe for Boys, I shopped my looks from inexpensive retailers including Old Navy, H&M, Wal-Mart and Target – exclusively shopping their new Cat & Jack line which I LOVE. And no, this is not a sponsored ad for their brand launch, but it might as well be! *Less than $150 includes current sale prices. 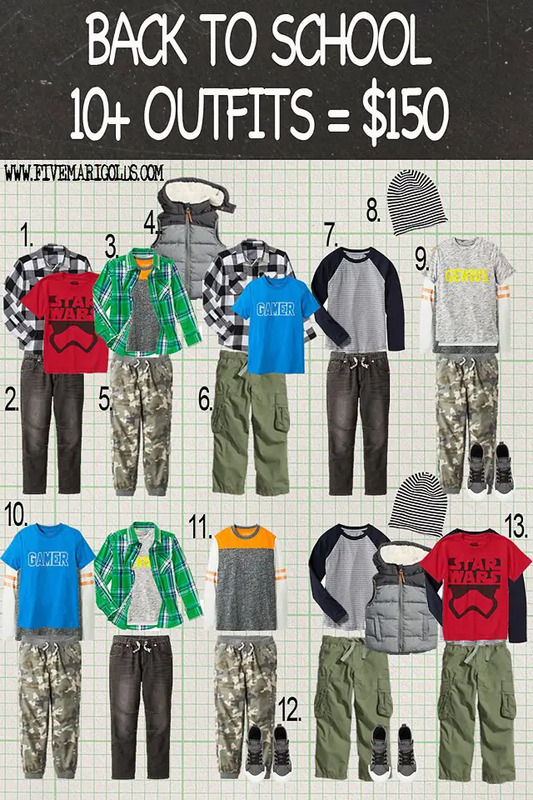 What do you think of this Back To School Wardrobe for Boys? Would you consider a capsule wardrobe for your kids? love these looks…especially the star wars shirt! Love these looks! I recently started buying more clothes from Target for my 8 year old son and it is so affordable and I am satisfied with the quality!